Picked up some new additions to the Kevin Kouzmanoff collection. I'm pretty pleased with these cards, if I do say so. We'll go in order of the cards numbered, highest to lowest. 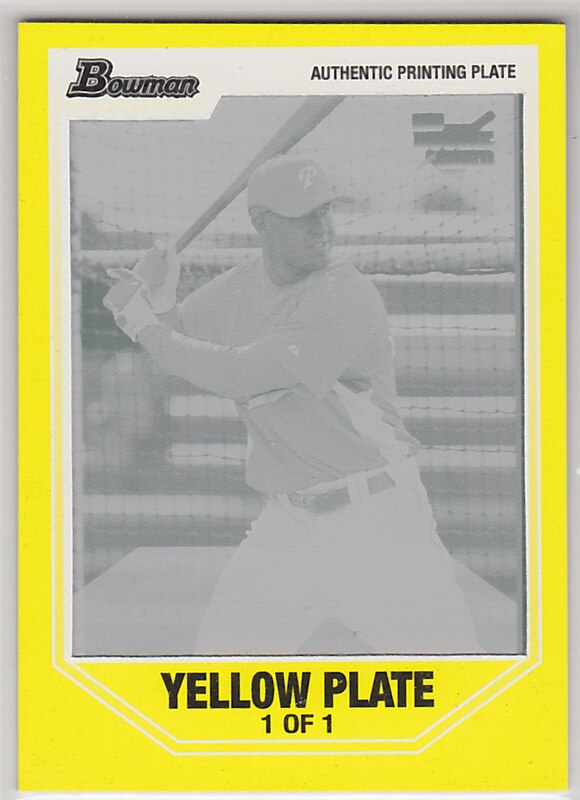 Up first is a card from the 2007 Exquisite set. An auto, game-used combo numbered to /99. I had the one numbered to /199, so these guys will enjoy each other's company. Up next is an oldie but a goodie. I happened to enjoy 2007 Moments and Milestones. I even cashed in on the Dice K with his rookie card, which bought a few hobby boxes for me. 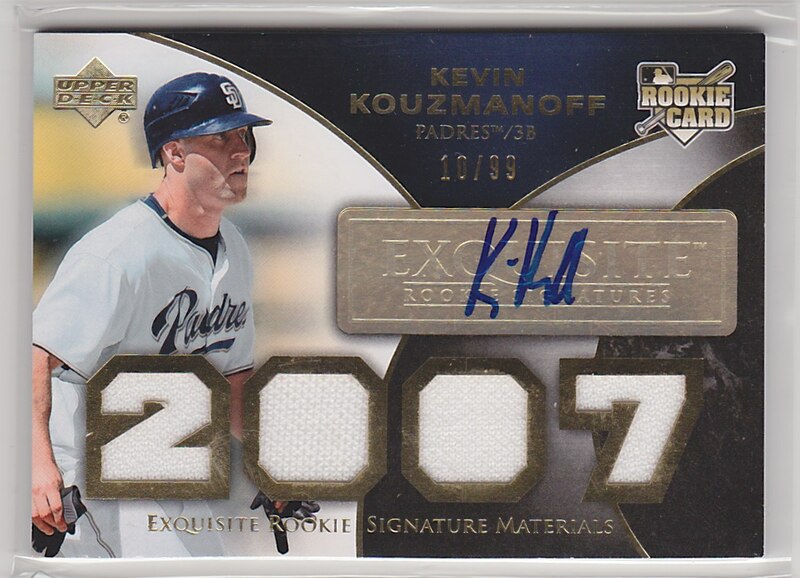 Here, is Kouzmanoff's auto card /40 (OMG! It's a 1/1 because it's 40/40). Strange thing about this set is that Kouz has three base cards, but I only have two of them. 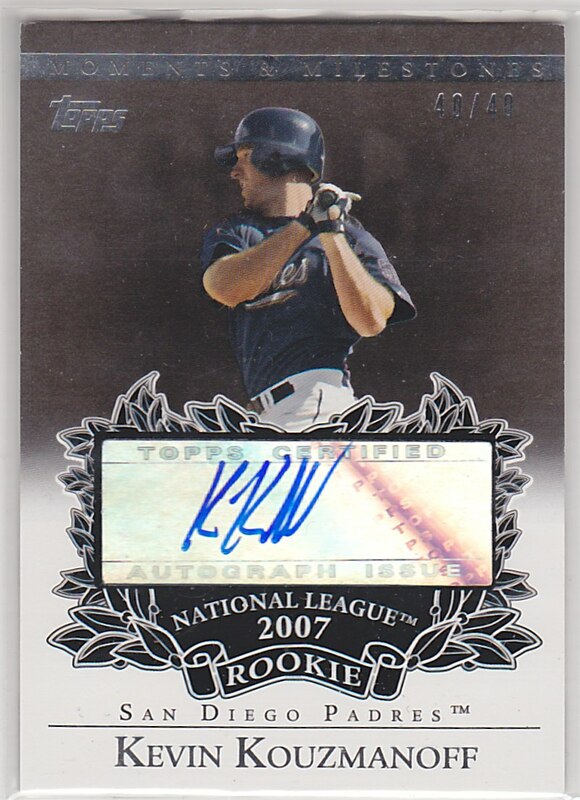 The regular auto is easier to find than any of his base cards. 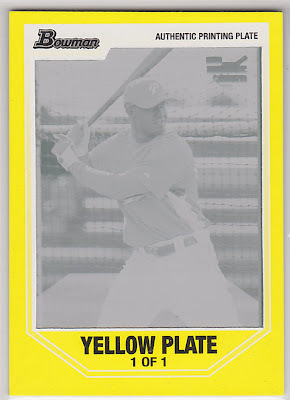 And, finally, we have a 2007 Bowman Draft yellow printing plate. Of course, 1/1. I have a few of his 1/1 cards. I don't actively seek them, but I will bid on them if I happen to see them on eBay. Welcome to the family, guys.